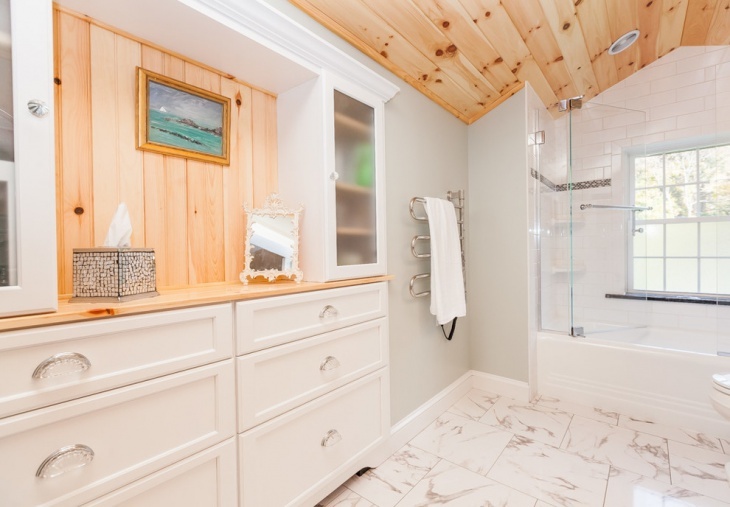 Cottage style bathrooms are cozy, comfy and nice! 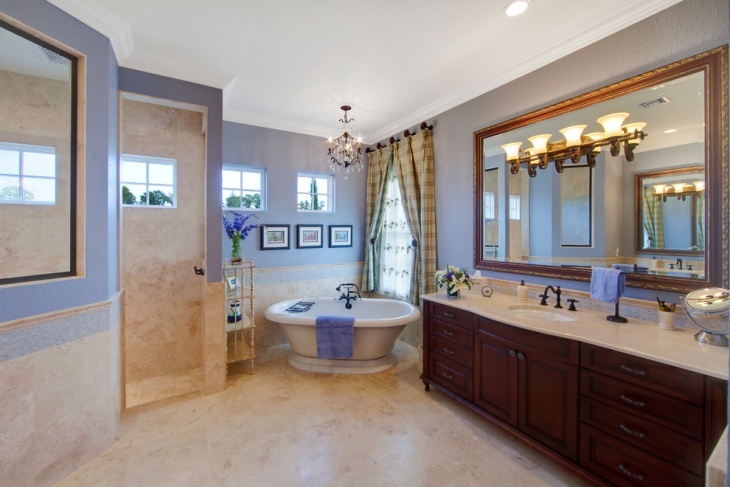 Remodel your bathroom space by giving it a whole new definition. 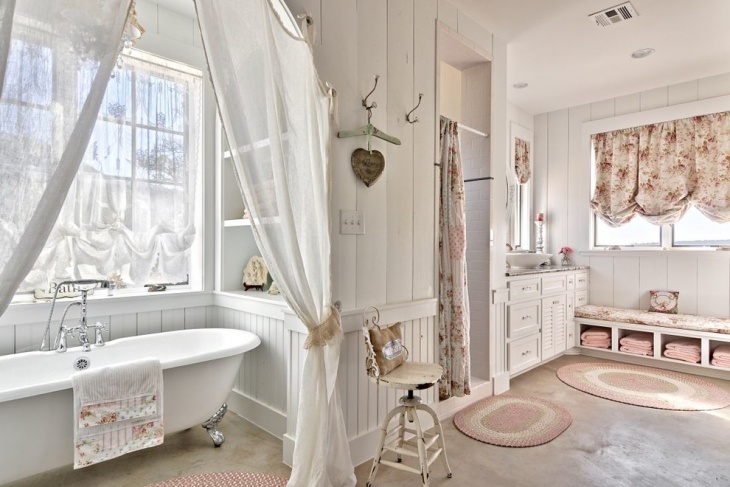 Country cottage bathrooms feature vintage pieces, bright wallpapers and much more. 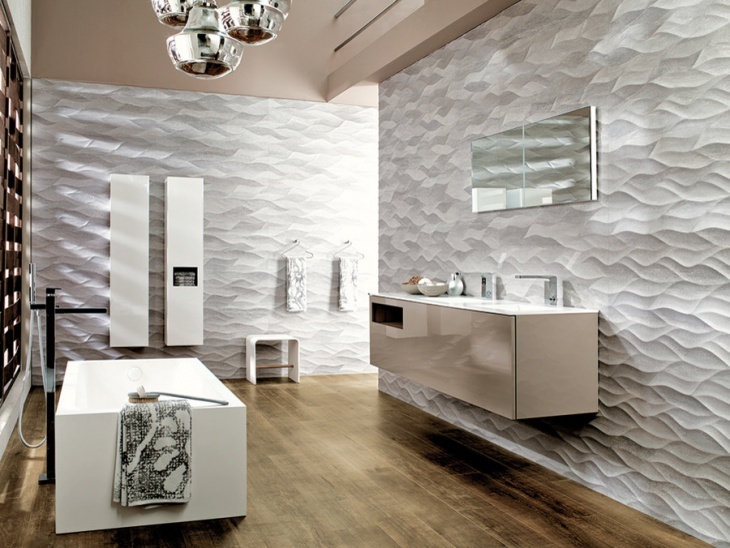 Decorate your bathroom space with the best themes and décor and make your bathing space a very peaceful one. 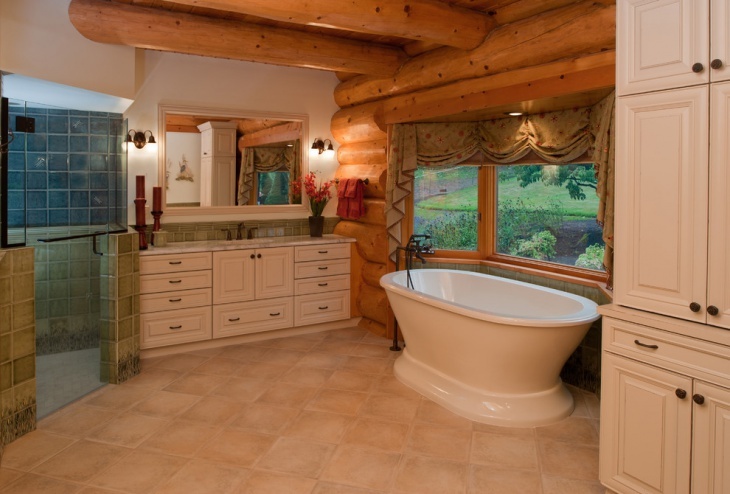 Browse through our collection of cottage bathroom design ideas as follows. 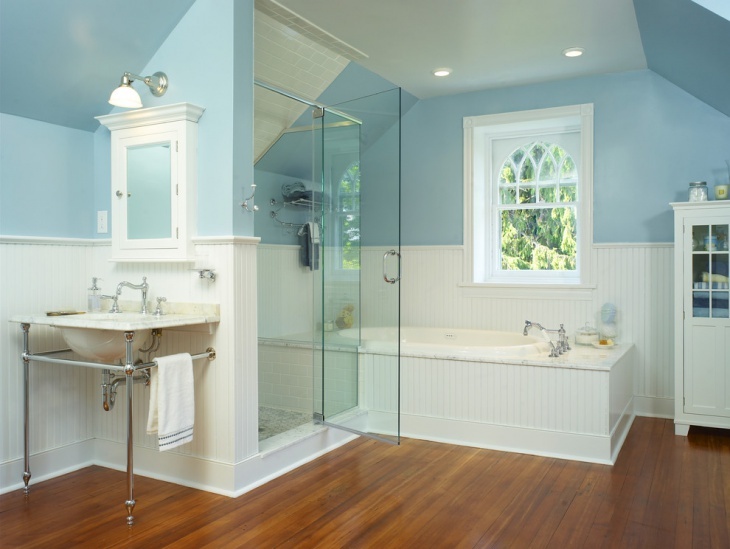 This luxurious blue and white bathroom has a contemporary touch along with the Victorian style details incorporated elegantly. The whirlpool tub and spacious shower of this bathroom make it appear stylish and chic, being comfortable at the same time. 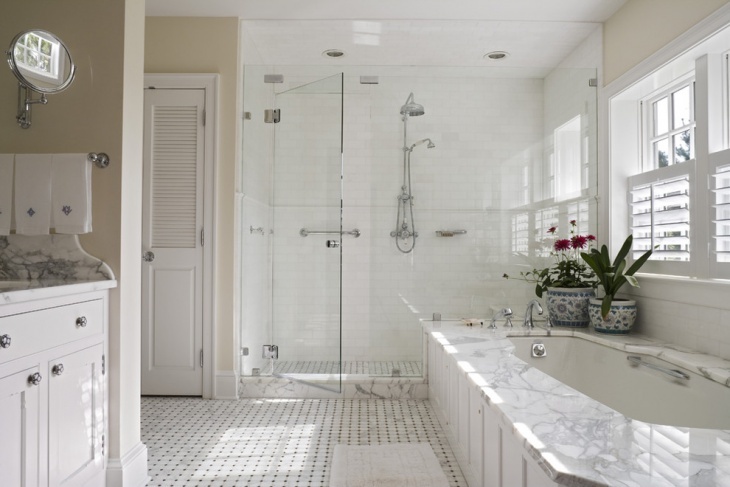 This traditional all white cottage style bathroom is such an ultra luxurious one designed with sheer elegance. The counter made of pure white marble complements well with the overall white interiors of this comfortable cottage bathroom. 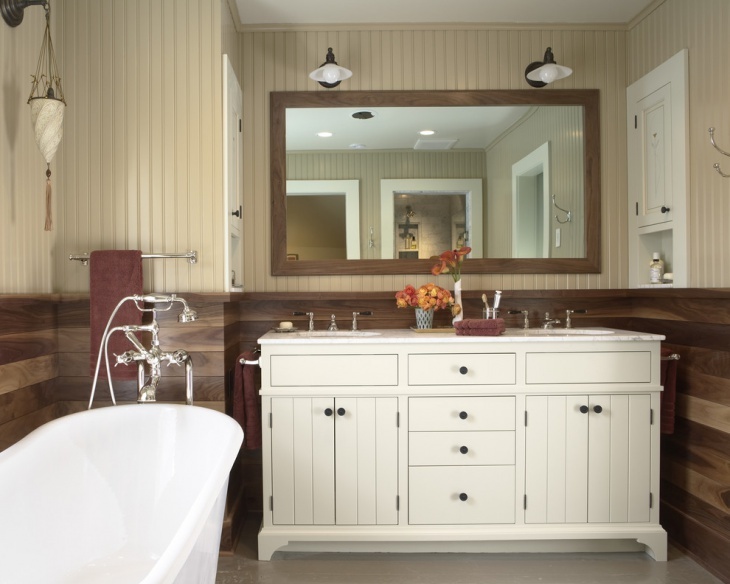 This master bathroom with a rustic design has a stand-alone tub, off white cabinets and a linen closet. 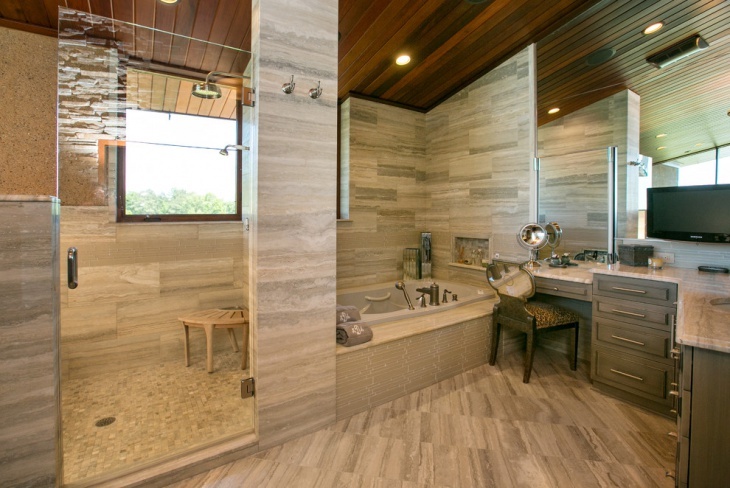 It features a large window right next to the soaker tub for enjoying the view while bathing. 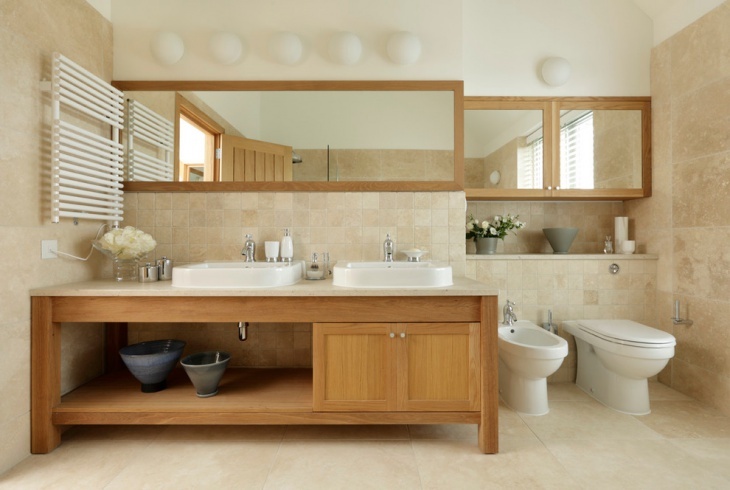 The vanity consists of a number of drawers for the ease of storing bathroom essentials. 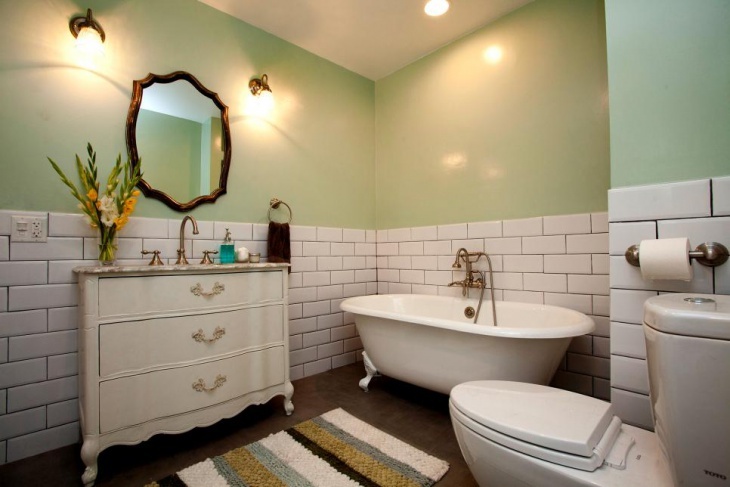 This spacious cottage bathroom with pastel green walls, a large soaker tub in the corner of the wall and a traditional style vanity adds a vintage-ish look to this bathroom space. The walls are halfway painted with green and the rest finished with marble wall tiles. This shabby cottage bathroom is designed in all white, with a few pops of pastel pink rugs, built-in shelves around the tub, a bead board and curtains to close the tub area for a more private bathing session. 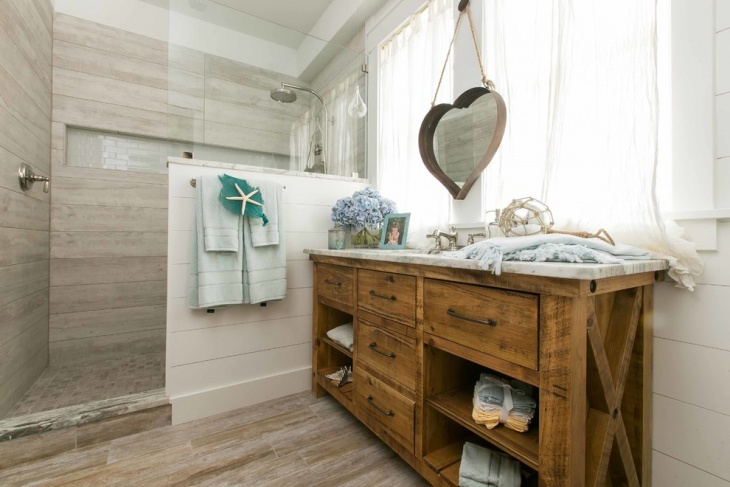 The flooring of this bathroom is a special paste wax which completes the look of this shabby and chic bathroom. This beautiful cottage bathroom has a Mediterranean touch to it, from the lovely blue walls to the floor tiles, the cabinets and lighting, everything about it is elegant. 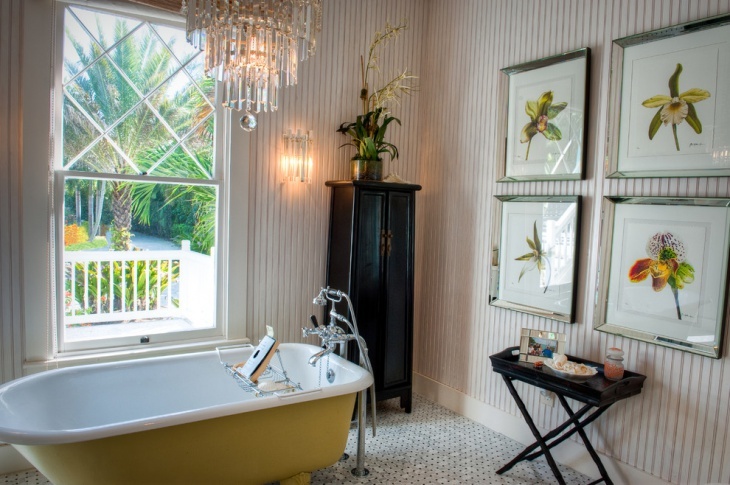 It features a large claw foot tub, a medium sized chandelier right above the tub and the wooden vanity. 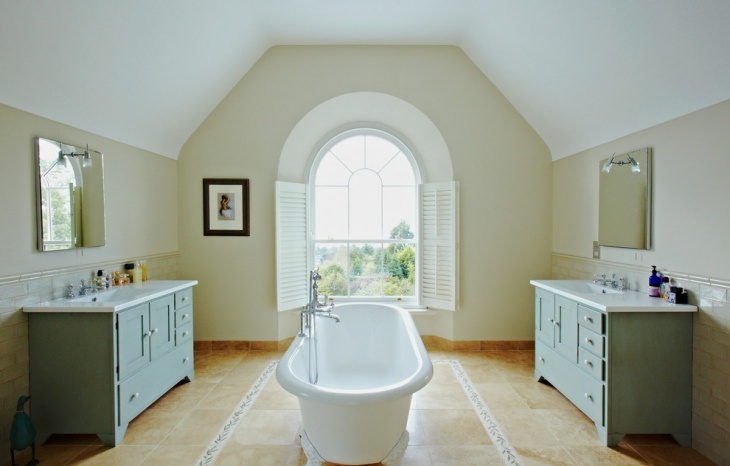 This traditional bathroom is a blend of vintage and contemporary and has a very simple and serene look. The off white walls and olive green cabinets complement each other very well. The bath tub is positioned next to the window for enjoying the view outside. 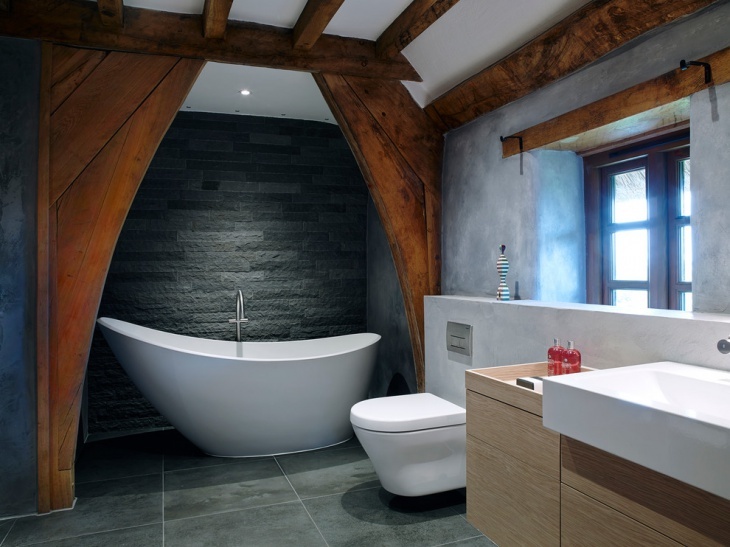 This cottage bathroom has the minimalist design, yet is very classy and chic. 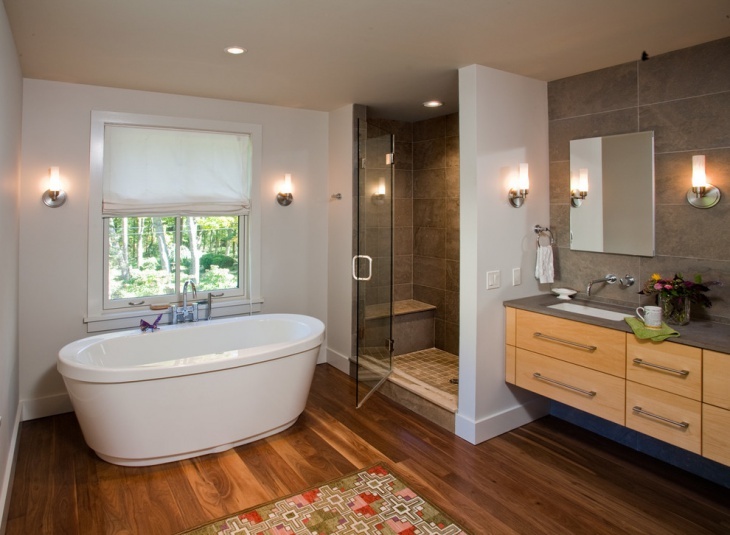 The flooring is of wooden, that complements with the wooden vanity and a glass door for shower area. 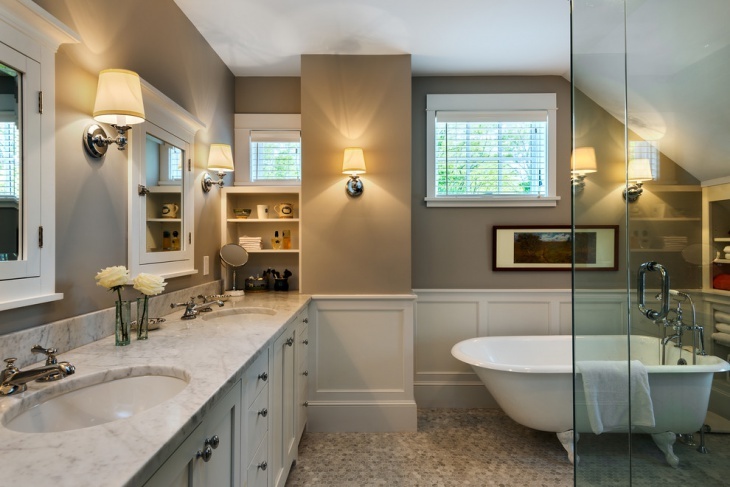 The lighting effect adds to the subtlety of this bathroom space. This small cottage bathroom has a rustic charm to it, the combination of wooden vanity and white interiors is an elegant one. The walls are made up of tiles all over them which are in a beautiful beige finish, the style of the sink is very compact and classy. 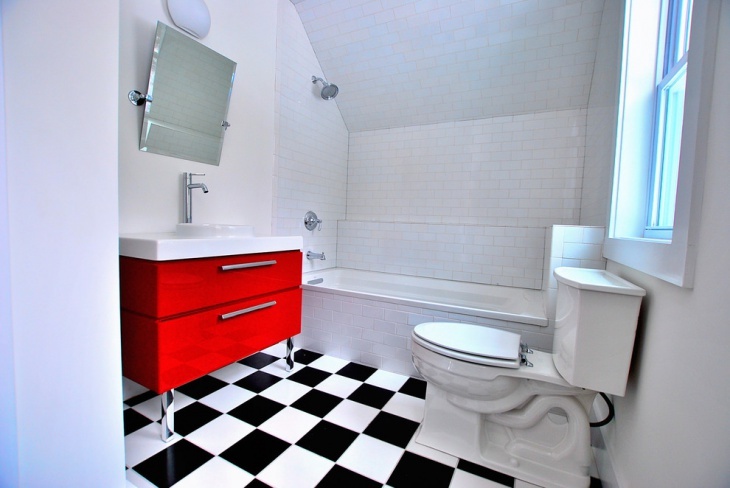 The lovely checkered tiles in the bathroom space in black and white makes this small little bathroom standout. With bright red vanity drawers and glossy patterned tiles in the wall on one side where the tub is placed, this bathroom is one of the simplest yet chic and stylish ones. You can look up to these amazing cottage styled bathroom ideas for incorporating the designs in your bathroom. 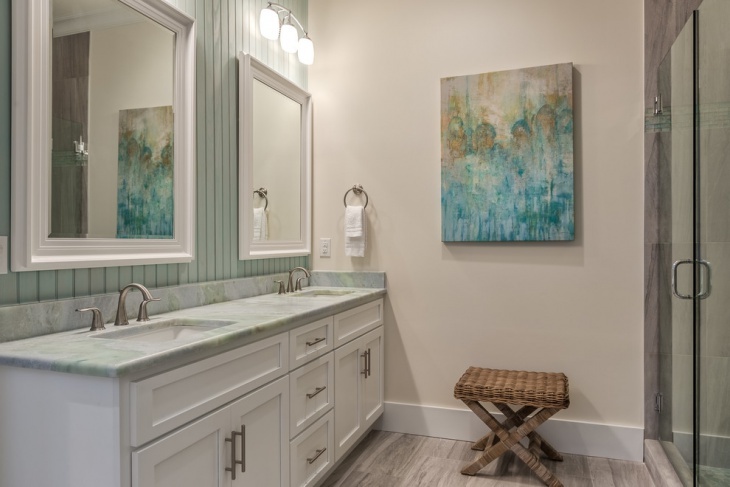 Whether you are remodeling your bathroom or building a new one, you can certainly add in these details to make it your bathroom space a truly dreamy one.